PRICE IMPROVEMENT ALERT!!! 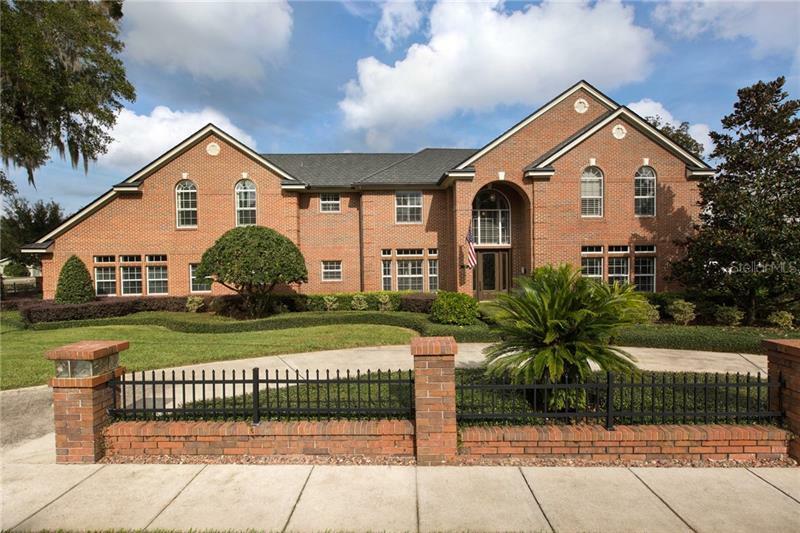 One of a kind, SPECTACULAR Estate home in the Oak Ridge Area of Oviedo! This 5 bedroom / 5 bath dream home will make you feel like you're on vacation at a 5-star resort every day. The great room is warm and inviting with a wood burning fireplace and stellar views of the pristine pool area! The gourmet kitchen is truly an entertainer's delight with dual ovens, dual dishwashers, gas cook top, generous counter space, and so much more! You will find classic designer touches throughout the home including solid wood cabinetry, crown moldings, and clever built-ins. The elegant master suite, found on the second level, affords you the privacy and luxury you deserve with a seating area, balcony over looking the pool area, huge walk-in closet, and well-appointed en suite. A generous secondary master with private sitting area, massive walk-in closet, and private bath and a secondary laundry room will keep your guests in luxurious comfort. For your entertaining needs, this home has it all!! You will find a large entertainment room with projector screen and wet bar area or step outside to enjoy the fabulous outdoor summer kitchen and patio area looking overlooking the large, heated pool and spa. This private oasis is removed from the hustle and bustle of the city yet offers easy access to town and NO HOA. Enjoy the ease of country living with the urban sophistication and amenities you desire! CALL TODAY for your private showing.